OMA will be presenting Damanhur University’s Mystery School over 2018-1019 covering their first-year courses. Mystery schools provide an opportunity to study the world’s great ancient wisdom and teachings in an academic setting. Such schools have long protected and preserved ancient esoteric and mystical wisdom for the benefit of humanity. Damanhur’s Mystery School is a journey of self-discovery and exploration of reality with a magical and spiritual vision, originating from the teachings of Falco Tarassaco. 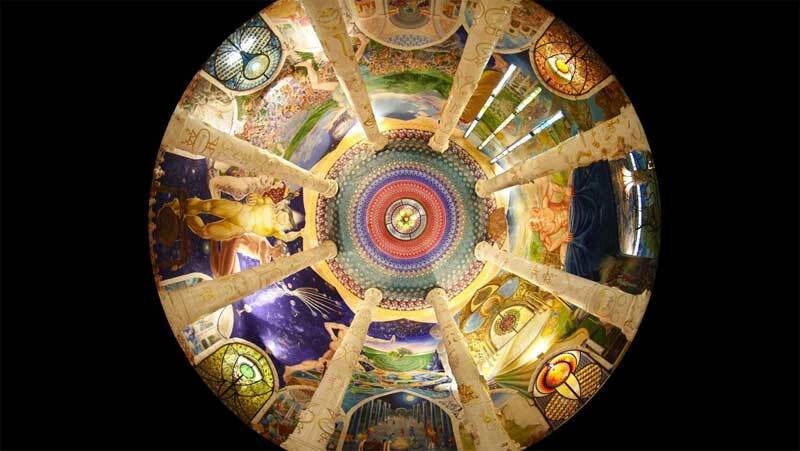 This vision has revolutionized classicl esoterism, thereby making Damanhur a unique place where spirituality, social experimentation, knowledge and experience are a daily reality. Opening the Self: This first year of the school opens a window to your inner world through the exploration of various themes drawn from ancient wisdom and humanity’s history. Topics include the laws that govern matter and its interaction with spirit, dimensions of time, and the identification of innate talents and senses of the soul. What is the nature of the soul? Where do we come from, and why? What is the true meaning of life and what are the keys to understanding it? Is there is an evolutionary mission for humankind and what is my role in it? How can I tap my rich inner world and live from my essence? What is my ultimate potential? How can I reawaken hidden powers and expand my reality? Are there cosmic intelligences and how do they affect the course of human evolution? Is there a divine plan for our future?